Well, well, well, this is a most pleasant surprise for our early 2019 features. We have for you today a terrific package of folky, roostsy, country-tinged indie pop from the west. Western Scotland, that is. 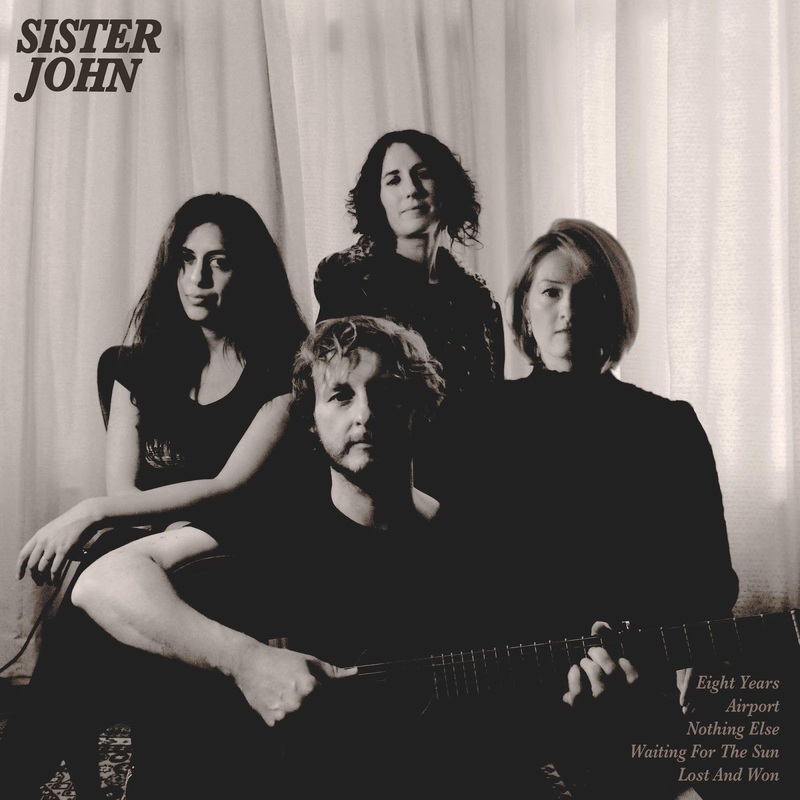 The band is Glasgow's Sister John, which also is the name of their new album. The range of songs is impressive, from the uptempo and eminently danceable, such as showcase track "I'm The One" (refer to the video, below), to sparsely adorned, intimate ballads. Lead vocalist Amanda McKeown (also guitar/songwriting) matches the range of the material, calling on a palpable swagger or plaintive crooning as needed. Bandmates Jonathan Lilley (guitar/bass/keys), Heather Philips (violin/bass), and Sophie Pragnell (viola/drums) all sing as well, and the harmonies are among the pleasing attributes of the album. Like us, this band favors material shaded in dark colors, and the strings and guitar combine with McKeown's voice to deliver the message in perfect tones. We were initially more drawn to the livelier tracks, but over time we have found that the ballads leave a deep and lasting impression as well. Try a little boot-scooting Glasgow style. Sister John is out January 25 via Last Night From Glasgow.